Triad’s legendary quality is now available in an affordable inwall front speaker; the InWall Bronze/4 LCR. 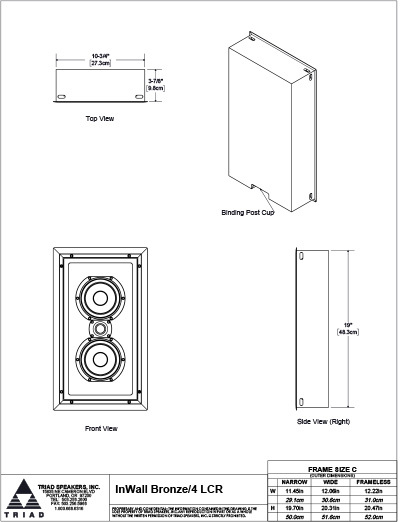 As with all Triad speakers, this fully enclosed inwall is painstakingly manufactured in America one speaker at a time to the same exacting standards as all Triad speakers. 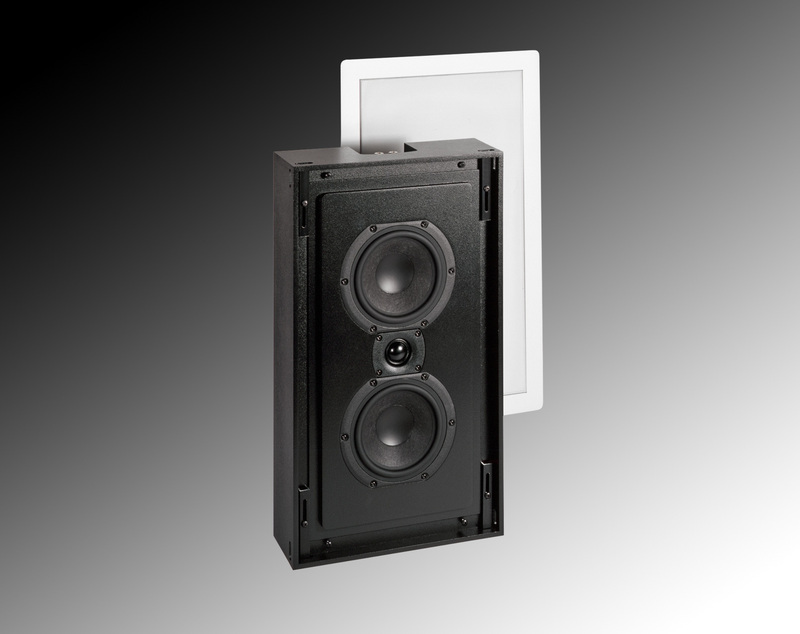 Sound quality easily exceeds that of other similarly priced inwall LCRs, and the rigid, braced enclosure keeps sound from bleeding into adjacent rooms. The InWall Bronze/4 LCR features the same handsome Acoustiperf grill as other Triad InWall speakers, and the grill and frame can be paint matched to your dcor by Triad. The speaker neatly mounts flush within a 4″ stud depth wall, and with custom paint matched to your wall, it nearly disappears. Mated with any of Triad’s four configurations of the Bronze Sub and Bronze Surrounds, the InWall Bronze/4 LCR is a powerful, economical, and invisible solution to your home theater speaker needs.